New Delhi, July 31 (IANS) There are no records of computers worth Rs 17.56 lakh purchased in 2012-13 at the Madhya Pradesh Professional Examination Board, or Vyapam as it is popularly known, according to information obtained through an RTI application. An audit report showed that the Board could not furnish the original file of purchase of the computers, the condition of their purchase or the stock register of their purchase. “The record for the purchase of computers is very important because digital records and excel sheets generated from the computers are vital evidence in criminal cases,” activist Ajay Dubey, who obtained the audit report through an RTI application, told IANS. This is an examination scam that has been going on for years but came to light only in 2013. Since then, it has claimed the lives of more than 45 people associated with it. The scam pertains to rigging of entrance examinations conducted by the Board and is said to have involved politicians, senior officials and businessmen in the state. The audit report has also questioned why the Board returned Rs 6.95 lakh collected as fees in 2012 from candidates appearing in a recruitment exam for constables without the state government authorising this. Vyapam failed to provide any record or explanation to the Local Fund Audit Department as to why the amount was returned to the Transport Department. Dubey obtained the report in April 2017 from Local Fund Audit, which comes under the state government’s Finance Department. According to the report, the fee was Rs 500 for candidates in the the OBC and unreserved categories and Rs 250 for scheduled caste (SC) and scheduled tribe (ST) candidates. The fees were received from 471 OBC candidates, 689 candidates in the unreserved category, 314 SC candidates and 148 ST candidates. Apart from this, the report also revealed that Vyapam’s examination section failed to provide information on how many exams were conducted in 2012-13, how many applicants from ST, SC, OBC and others appeared in each exam during the year, the amount of admission fee for each exam or the total income generated from exams in 2012-13. Madhya Pradesh has been mired in the Vyapam scam for years, but the irregularities came to light when 20 people were arrested in 2013 for impersonating candidates appearing for the 2009 medical entrance examination. 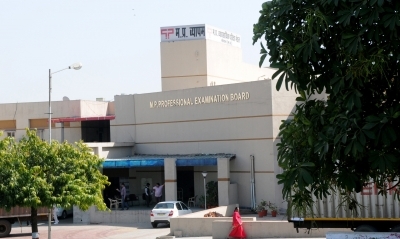 More than 45 people associated with the Vyapam scam have died — mostly under mysterious circumstances. Following the chain of deaths, the Supreme Court had directed the CBI to investigate not just the Vyapam scam but also the deaths related to it. In the latest instance, Praveen Yadav, an accused in the Vyapam scam, allegedly committed suicide at his house in Morena, Madhya Pradesh, on July 26. He was scheduled to appear before the Jabalpur High Court the next day.